The World Happiness Report is published annually by the United Nations Sustainable Development Solutions Network. The report ranks the happiness levels of 156 countries using the Gallup world poll. The poll asks respondents to think of their best possible life (rated at a 10), and the worst possible life (rated at 0). Thousands of respondents then rate their own current lives across six different areas of life known to impact happiness. The 2018 report has now been released and provides some fascinating observations about the winners and the losers. The results found the world’s happiest country for 2018 is Finland. Finland was followed closely by Norway, Denmark, Iceland, Switzerland, Netherlands, Canada, New Zealand*, Sweden and Australia*. So What do the Happiest Countries do Differently? I’ve enjoyed visiting Finland previously. The people are warm and hospitable, but the climate is definitely not. For an Aussie, Finland is colder than a mother-in-law’s kiss. So why are they happier than everyone else? What’s their secret? All the countries in the top ten of the survey scored highly across all of the six variables being measured. The six variables are income, health & life expectancy, social support, freedom, trust, and generosity. To be in the top ten, a country must perform strongly across all of these categories. Therefore, being wealthy by itself is not enough to make citizens happy. Wealthy countries that perform badly in one or more of the other areas do not score well overall. For example, in the U.S. income per person has doubled since 1972. However, over that time happiness and wellbeing levels have remained the same, or slightly less. In fact, the U.S. is now ranked 18th, down four places since last year. So we need to understand a few things about happiness and wealth. The failure of increased wealth to lift national happiness has previously been explained by the Easterlin Paradox. The award-winning economist Richard Easterlin showed when countries become wealthier, but the wealth contributes to social inequality, happiness levels do not rise across the population. The explanation is that your income compared to others (where you are in the pecking order) matters more to happiness than gross national income. But the 2018 report found the poor results for the U.S. are not explained by social inequality alone. American happiness is being undermined by something further; – poor health and life expectancy. Specifically, the report describes three distinct health epidemics impacting the U.S. These three epidemics are obesity, depression and opioid addiction. This is also true of other developed countries, but the U.S. takes the high-calorie cake. These three epidemics are harming American happiness very directly. For example, obesity causes a multitude of metabolic disorders. Moreover, the high intake of processed foods and high sugar foods disrupt the serotonin pathway which affects mood, as well as the dopamine-EOP “reward” pathway. Opioid addiction harms wellbeing by causing the overdose deaths of 63,000 Americans in 2016 and condemning many more to the servitude of addiction. The depression epidemic damages happiness in more obvious ways. These epidemics are doing something more than just increasing the burden of disease. In the annual survey, ‘trust’ is one of the six factors measured. When people perceive trust in business and government happiness increases. When people perceive corruption in business and government happiness decreases. So how do health epidemics damage public trust? The report concludes that the poor health outcomes being experienced by Americans are caused, at least in part, by corporations and governments working against the best interests of their own citizens. For example, pharmaceutical companies are aggressively marketing prescription drugs such as OxyContin. The fast-food industry lobbying governments to approve sugar additives and other obesogenic processed foods. And the high-cost health services, including mental health, due to corporate lobbying by private healthcare providers to set exorbitant fees, despite a near monopoly over costs and prices. A Marxist revolt is unlikely to be the answer. There are no socialist dictatorships in the top ten happiest counties. Having said that the Scandinavian counties that tend to dominate happiness surveys are more likely to accept progressive fiscal policies (taxing and spending) because they trust governments to use public money to provide services that are in the national interest, for example, health and education. Trust is a two-edged sword. But “top-down” policy changes take time. In the meantime, there are “bottom-up” changes we can make right now that are known to increase happiness. 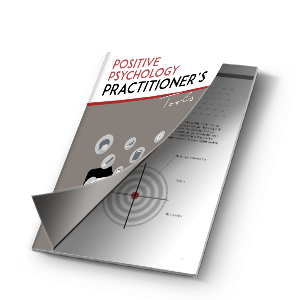 Chapter seven of the report concludes with an endorsement of “bottom-up” changes and makes favorable mention of positive psychology strategies. “programs of positive psychology and wellness at schools, workplaces, and in the community can help individuals to change their own behaviours, overcome addictions, and pursue life strategies to bolster their personal well-being and the well-being of friends, family, and community. The evidence is large and growing that such life-change strategies can be highly effective.” P. 158. So comrades, while we wait for the world to become a nicer place we can all take charge of our own happiness now. Practice gratitude, use your strengths more, cultivate intimacy, seek out meaning and purpose and achieve the things that really matter to you. Practice kindness, mindfulness, and spend your money on experiences instead of more stuff. Maintain hope and optimism always and, if all that fails, you can always move to Finland. *The rivalry between Australia and New Zealand usually concerns cricket and rugby, not happiness. However, a former New Zealand Prime Minister once made the funniest political I have ever heard. When asked to explain the growing number of New Zealand citizens migrating to Australia, he replied “New Zealanders who leave for Australia raise the IQ of both countries. Helliwell, J., Layard, R., & Sachs, J. (2018). World Happiness Report 2018, New York: Sustainable Development Solutions Network. Jeffrey D. Sachs. 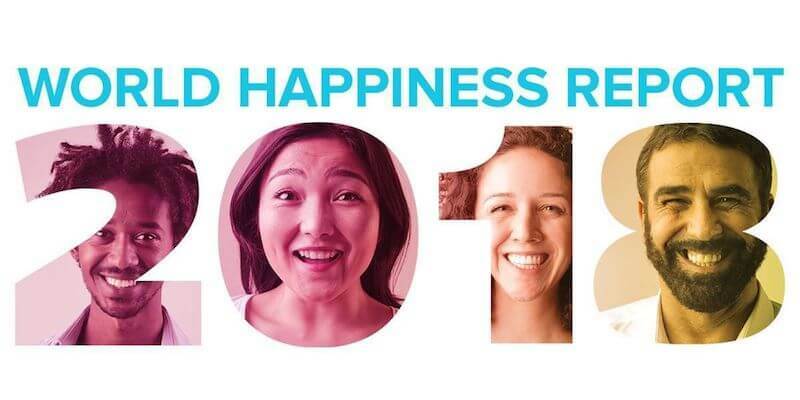 World Happiness Report (2018). Chapter 7; America’s Health Crisis and the Easterlin Paradox. Unfortunately the word “socialism” is a bad word in the USA because they are ignorant of the concept. What can we do to educate them? They do not like to check on their own, only listen to pundits, neighbors etc. Hi, this article is interesting for me. Before that I do not know about Easterlin Paradox and searching and thinking about it. So I am sad for my country (Iran) and Iranian people because many of us have money, house, car and something else, but we are not happy. …I blame our cricket team! Australia going down..not a a good trend. Wow Brad! Thanks for sharing such an interesting information.